Evangelists for mass vaccination like to claim that these programmes are of universal benefit to public health. Indeed, so zealous is their enthusiasm for vaccines that, through a cocktail of scaremongering and propaganda, they attempt to suppress all debate. The result is that people, especially parents, feel bullied or patronised if they dare to challenge the official drive to vaccinate against every possible risk of disease. Moreover, this climate of fear is ruthlessly exploited by the big pharmaceutical companies, which see vast profits in exaggerated health concerns. 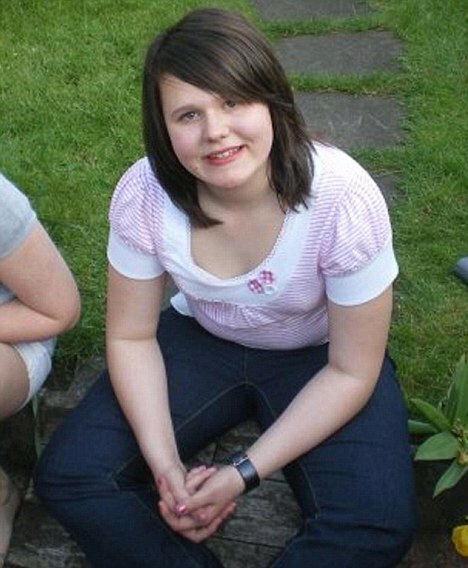 Yet the sudden death of Coventry schoolgirl Natalie Morton after a jab against cervical cancer highlights the reality that vaccination programmes are not without their risks. The tragic irony for Natalie was that the injection may have triggered a reaction far more lethal than any future, distant threat of a comparatively rare disease. And this exposes a fundamental problem about the Government's growing obsession with vaccinating children and teenagers. We have to be absolutely sure that the medical and political establishment's growing reliance on vaccines does not ultimately do more harm than good. As a doctor, I have been concerned for some time about this issue. I should stress that I am not in any way opposed to vaccinations. Indeed I run an immunisation clinic which offers a wide range of vaccines as a protection against various diseases. But I am increasingly disturbed by the lack of any debate either about long-term vaccine safety or about the excessive influence of commercial interests. Contrary to what Government officials and pharmaceutical giants pretend, the health of future generations could be compromised if we are not allowed to question this official fixation with mass vaccination. In the research for my recent book on this subject, I discovered that not only are inoculations being introduced with less and less research on their safety, but, just as worryingly, they are being promoted for diseases which do not represent a widespread danger to the public. The cervical cancer jab that Natalie Morton was given shortly before she collapsed is a classic case in point. For all the hysteria that the Government and big business generated in support of the vaccine programme for teenage girls, cervical cancer only comes in 19th place on the list of cancers that kill women in modern Britain. In 2005, just 911 women died of the disease. Though every death was obviously a terrible blow to the victim's family and friends, this figure pales beside the 12,000 who died from lung cancer or the 11,000 who succumbed to breast cancer. Indeed, cancers of the brain and the kidneys proved more deadly to women than those of the cervix, yet there is little publicity about these diseases. The fact is that the huge nationwide programme - which has already led to the vaccination of a large number of young women against cervical cancer - has partly been driven by naked commercial pressure. For decades, vaccines were the Cinderella sector of the medical industry, neglected because there was little money in them. But all that is changed. Vaccines are now the fastest growing part of the pharmaceutical business so the giants, such as GlaxoSmithKline and Merck, which manufacture the two leading anti-cervical cancer drugs, have a vested interest in deliberately whipping up public anxieties. In this world of cynicism, there is no sense of genuine proportion. Everything is geared towards the bottom line. Indeed Merck, which produces the anti-cervical cancer vaccine Gardasil, openly boasted in 2006 that its marketing campaign was 'proceeding flawlessly'. The company even won the industry award for 'the Pharmaceutical Brand of the Year' for creating 'a market out of thin air'. In 2007, Merck made $1.5billion from the Gardasil vaccine and the same vast sum in 2008. 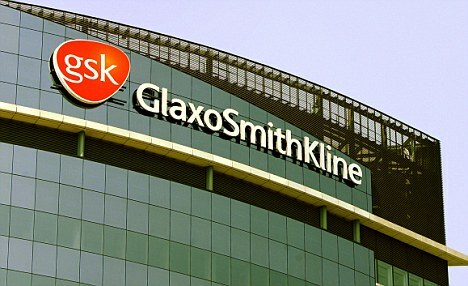 GlaxoSmithKline is also doing well out of Cervarix, the drug used in the British vaccination programme. One of the insidious ruses of the pharmaceutical companies - in which the medical establishment colludes - is to heighten the pressure for vaccines by drawing a false comparison between the present and the past. In the Britain of the late Victorian age, tens of thousands of children died of tuberculosis, measles and whooping cough, but today such fatalities are almost non-existent. This is taken as evidence of the effectiveness of vaccines and is therefore used as an argument for an extension of programmes. But such a claim is historically false. In fact, the death rate from measles and TB had fallen dramatically during the mid-20th century, well before any vaccines were introduced. This decline was mainly due to social factors, such as improvements in diet, housing and hygiene, as well as the discovery of antibiotics. For all the noisy public relations campaigns, it is not clear that these vaccines even work anything like as effectively as their proponents claim. For instance, the jabs Cervarix and Gardasil only prevent a fraction of the number of viruses that can lead to cervical cancer. In truth, by suppressing those particular viruses they may encourage the growth of others in their place. Given that these two drugs have been introduced in such haste with such limited testing, it will be 20 years before we know whether they are truly effective in achieving their primary purpose: that of fighting cervical cancer. Nor should we be dismissive of the side effects of all these vaccines. It is now normal for a British child to be given no fewer than 25 vaccines by the age of 15 months. The Government's advisers, led by the Chief Medical Officer, Sir Liam Donaldson, say they are relaxed about this figure. Indeed, they have implied that there may be no upper limit to the amount of vaccines that a young child can take. As their defence, they point out that children constantly swallow lots of bugs and bacteria in their daily lives. But that goes to the heart of the issue. When a child crawls around on all fours and takes in bacteria by licking hands, that is just part of natural human activity. Indeed, it is essential for strengthening of the immune system, the body's own vital defence network. But that is very different from chemical injections, which completely by-pass the whole immune system. There is mounting evidence that, by artificially stimulating the body's immune system, a barrage of vaccines can actually promote auto-immune disorders such as multiple sclerosis in susceptible people. Furthermore, some vaccines contain toxic metals such as aluminium and mercury. The fact is that the human body is a finely balanced eco-system, which overzealous vaccination can upset. What this all means is that we have to be more careful about vaccines. Colluding with the pharmaceutical giants, the Government has become far too cavalier about their use, promoting them as a risk-free solution to all sorts of medical conditions, no matter how low the incidence. It has been madness, for example, to talk of vaccinating the entire population against swine flu, when the number of deaths from this illness is tiny compared to the annual toll for ordinary flu. Vaccines cannot be used to build some medically controlled utopia, in which all disease has been banished. Indeed, the attempt to do may end up undermining the health of future generations.